It’s time to Strut Your Mutt again! 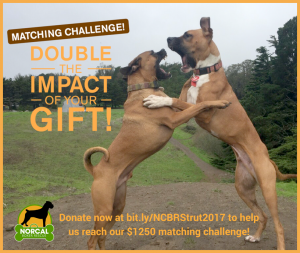 Last year NCBR was the top fundraising team in San Francisco, and we raised over $31,000, which was enough to cover four months of veterinary care in 2016! Can we do it again? Only with your help! Visit our team page and click “Join” to register today! Registration is only $15! In addition to the fundraising incentives that Best Friends offers, we will have our own fundraising incentives and mini-competitions just for our teammates. NCBR alumni Bixby and Cole (pictured) know how much fun it is to double their impact, and so do their amazing dads, Kevin K. and Mark H.! That’s why this week they are generously offering to double the impact of YOUR GIFT up to $1000! AND, another anonymous donor will match an additional $250! If we can meet this challenge by 9/20 we will have raised $2500! DOUBLE YOUR IMPACT and DONATE TODAY at http://bit.ly/NCBRStrut2017. A photoshoot with Ellen Shershow of J’adore le Chien Pet Photography! Bissell is not only proud to support the movement to end pet homelessness in the US, they also know how to clean the messes our furry friends make! This vacuum does the job! As a Thank You to All Donors! 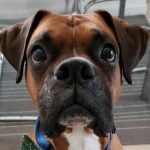 Anyone who books a full price photoshoot with J’adore le Chien Pet Photography can show proof of a donation of any amount to our team and will receive three complimentary 5″ x 7″ fine art photographic prints matted to 8″ x 10″. 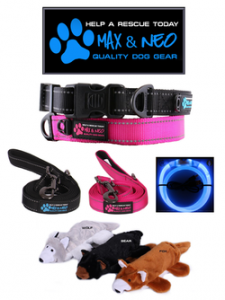 Our friends at Max & Neo have put together a great prize package for our Strut Your Mutt fundraising efforts! CONGRATULATIONS to our Winner Debbie S.! 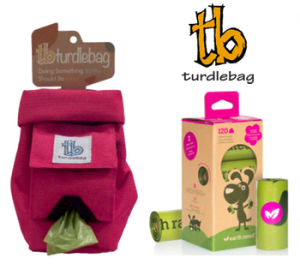 Win a convenient and useful Turdlebag plus a box of lavender-scented Earth Rated poop bags. To be eligible for this challenge, all you need to do is get TWO donations of any size between 8/14-8/19! Two lucky winners will be drawn at random from all eligible entries. We’ve got another fabulous prize to give away thanks to Wilderdog! The winner will receive one 5′ Wildcat Leash made of climbing rope that comes with a locking carabiner clip and is in SF Giants’ orange and black! Plus you get a collapsible Backpacking Bowl that is both durable and handy. This prize pack will be awarded at random to one teammate who has customized their personal fundraising page with a photo and an explanation of why they are supporting NCBR by Saturday, August 5th at 5 pm PST. New and preexisting teammates are all eligible. Check out all of Wilderdog’s great products on their website. CONGRATULATIONS to our Winner Carol K.! 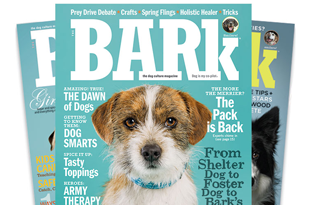 Five (5) of the first people to register before 7/20 at 5 pm PST will be chosen at random to win a year’s subscription to Bark Magazine! For every new $10 you raise by the end of Sunday, 9/17, you will be entered to win a Queork dog collar in your choice of dark brown or natural! It looks like leather and feels like suede, but it’s cork – sustainable, vegan, mildew-resistant, hypo-allergenic, and a natural mosquito repellent! CONGRATULATIONS to our Winner Matthew F.! 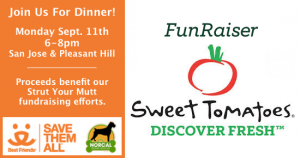 Sweet Tomatoes is helping us raise funds for Strut Your Mutt with 2 group dinners. Join us on Monday, Sept. 11th from 6 to 8 pm at either the San Jose or Pleasant Hill location. Be sure to bring your flyer so that 20% of your bill gets donated to NCBR’s Strut Your Mutt fundraiser! Thank you to everyone who came out for dinner! 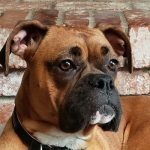 “On behalf of Elk Grove Ford I would like to contribute $500 of matching donation to NorCal Boxer Rescue for this year’s Strut Your Mutt event. 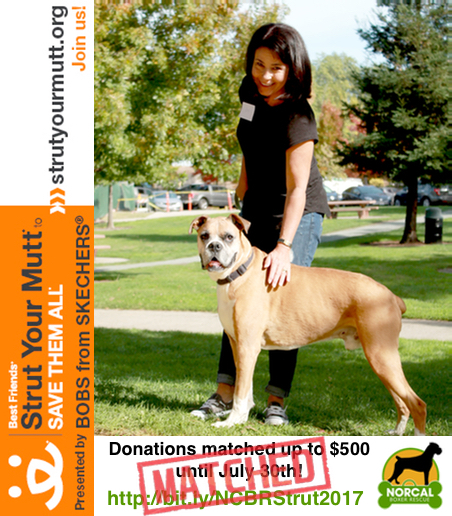 ALL donations received by July 30th to NCBR’s SYM fundraiser will be matched by Elk Grove Ford up to $500! THANK YOU Debbie Gannucci Wood and Elk Grove Ford ! Donate at http://bit.ly/NCBRStrut2017. YOU DID IT! In only 2 DAYS you met the $500 matching goal! THANK YOU to everyone who donated and to Deb and Elk Grove Ford for the matching donation! 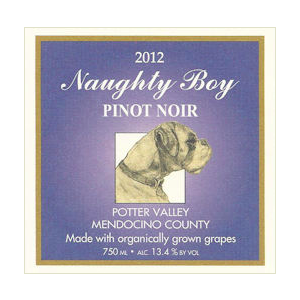 The first 12 people to raise $250 or more will receive a bottle of Naughty Boy Vineyards wine (either a 2012 Pinot Noir, a 2014 Dry Rosé of Pinot Noir, or a 2014 Chardonnay, while supplies last). 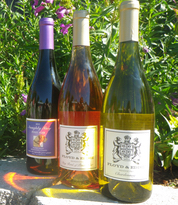 You will love the boxerful labels, and of course the delicious wine produced by a NorCal Boxer Rescue family!